Description: Carta Bella Collection Fall Break Chipboard 6 in. x 12 in. 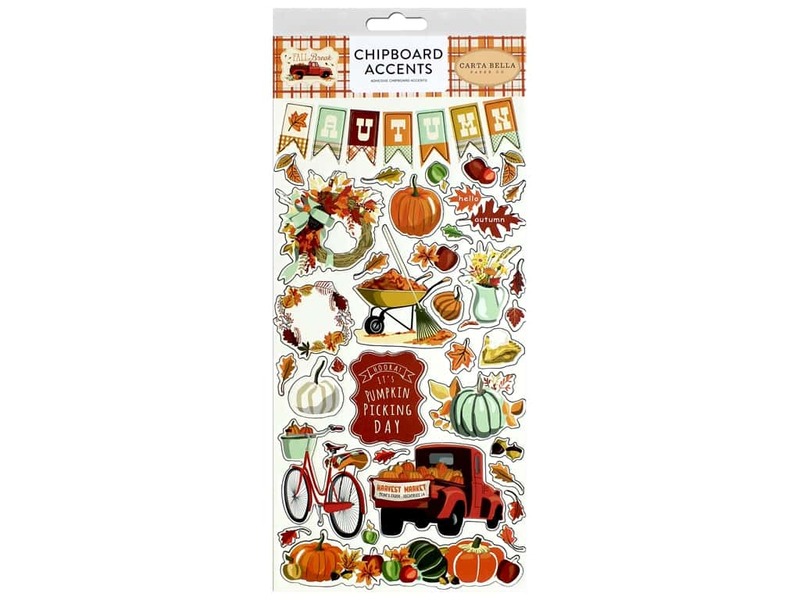 Accents- Over 30 chipboard stickers include trucks, pumpkins, wreaths, leaves, fall flowers, and more. Truck measures approximately 3.25 in. x 2.25 in.